Established in 2007, Upper Cumberland MMA (UCMMA) opened its doors with one vision - to provide a complete, fully formed self-defense program for the community utilizing the fast-paced and dynamic movements of mixed martial arts, the strength and skill of kickboxing, and the flexibility and real world application of no-gi jiu jitsu. As you learn to move your body in powerful new ways, you'll learn to be confident against any size opponent in a variety of situations while getting in the best shape of your life! Beginners and Pros, training side by side! UCMMA has trained some of the best fighters in the state, bringing home several amateur MMA and kickboxing titles and numerous grappling tournament wins. Upper Cumberland is also the home of Tennessee's first 10th Planet Jiu Jitsu affiliation, which focuses on grappling for MMA and real life. Whether you want to lose some weight and get in shape or become a well rounded fighter, UCMMA will get you there. No matter what your starting level is, you'll get a great workout, gain lean muscle, and learn techniques to keep you and your family safe. Your goals, on your time, but boosted by our drive and motivation! 9 times out of 10 students tell us they can push themselves to the limits on their own or with friends...and 9 times out of 10 they're dead wrong! Working out with a group of trainers and coaches is a whole different world than the basic gym scene. Imagine your own personal cheering squad, pushing you, motivating you, and having your back. No matter what. Our expert instructors bring decades of experience, fitness tricks and tips, and their own personal stories of perseverance. They were once where our beginner students are, and they never forget it! Train, grow, and learn how to fight for your life with the best. Real World Self Defense Skills. We hold no-gi jiu jitsu training for a reason, the skills are different and if things went down in the street, chances are an attacker would not be wearing a gi or any other super specific martial arts attire. Plus, if you're an MMA competitor at heart there are no gis in the cage. We set you up for real world success with competition in mind as well. What if you don't want to compete? That's ok too! As you develop crucial life-skills using traditional methods mixed with modern day flare you'll feel anxiety melting away in what used to be stressful situations, you'll build confidence no matter what your weight or height is, and you'll be able to wow your friends with your newly sculpted martial artists body. Fast-paced and high-energy cardio drills, striking and defense lessons, mind-blowing wrestling techniques, epic kicks and mega focus drills meant to develop amazing mental strength will set you up for stellar fitness gains and huge bursts in personal development. Personal defense, a stellar boost to weight loss and fitness gains, or even as a stand-alone martial art - these classes have it all! Whether you want to seriously dedicate your time to becoming an amazing martial artists or simply want to feel better about yourself and how your clothing fits our instructors will work WITH YOU and not for their own personal goals. Safe, clean, made for you. We take great pride in making sure you have a safe and clean environment, always. 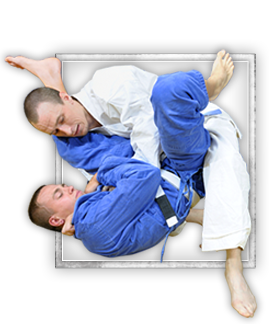 Upgrades on professional equipment, clean mats, and strict personal hygiene rules are standard. Also, keeping the school clean and functioning well sets the tone major community and teamwork vibes. Martial artists develop a healthy respect for authority, learn that shared spaces are everyone's responsibility, and honor their classmates and instructors by respecting the school all while gaining crucial life skills to set them up for future successes. Check out our super-low web special going on right now! These classes fill up fast because it's such a great deal & our instructors are top-notch. Be sure to reserve your spot today! You'll find the web specials on our classes page along with details on joining in amazing martial arts adventures with your family while having the most fun you've EVER had getting fit. We can't wait to train with you! Below is a little bit about our leadership, along with their personal martial arts stories so you can put some names to faces and feel comfortable on your first visit! 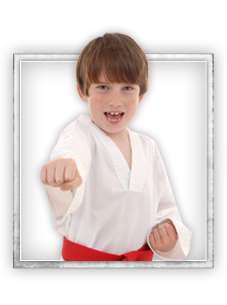 We all start somewhere and we can't wait to help you get started on your martial arts journey too! Mr. Michael Bartlett is the lead instructor at 10th Planet Cookeville. He has been training in martial arts since the age of 6 and received his black belt in Tae Kwon Do under Jack Scott at age 14. Michael started training in Jiu Jitsu in 2010 under Buddy Hallum, a brown belt under Helio Soneca, and is now a brown belt himself. He discovered 10th Planet Jiu Jitsu soon after he started and has had great success using 10th Planet techniques in the gym and in competitions. He enjoys sharing his knowledge with students and MMA competitors who want to improve their skills. Mr. Brian Tupper is ranked as a blue belt under Michael Bartlett and has high school wrestling experience. He has been teaching for just over 3 years. Mr Caleb Robertson is a blue belt in Jiu Jitsu under Michael Bartlett and has been training kickboxing and MMA for the past 7 years. Ms. Sarah Blankenship has a Bachelors and Masters Degrees in Fitness and Welness and extensive experience in coaching. Fitness and nutrition certification. Mr. Matt Violette is a Kickboxing and MMA instructor. He is a Black Belt in Shotokan under Master Sensei and 6th dan Pete Threet. Matt also holds a Black Belt in Tae Kwon Do under 5th dan Johnny Loftis. Matt competed in the Regional Sport Karate Circuit and was known as one of the top fighters in a five state region. Matt really turns up the pace and focuses on intense cardio exercises. He has a relentless, never give up, no nonsense approach to fighting. Mr. Nikolas McGehee is a fitness and diet guru. He focuses on maximizing the effectiveness of exercise and diet. His classes are fast paced and designed to help you push yourself. Come join our Cookeville, TN Martial Arts facility! 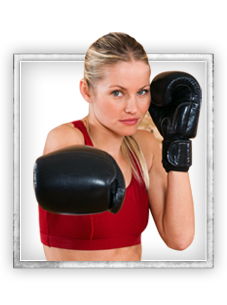 We offer programs in Mixed Martial Arts, Jiu Jitsu, Kids Martial Arts, and Fitness Kickboxing. Choose a program that most interests you and have the opportunity to sign-up right here on our site for one of our awesome web specials. Or feel free to give us a call at 931-389-4662 if you have any further questions. Upper Cumberland MMA	hopes to speak with you soon!